Melville joined McLaren in 2009 as senior designer. 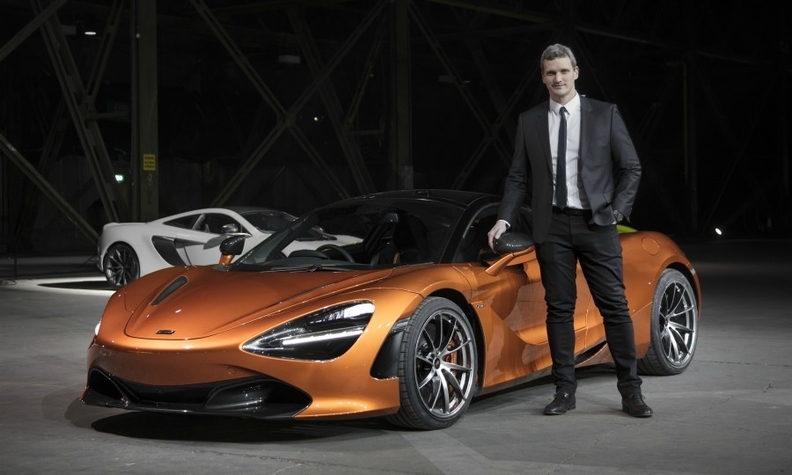 LONDON -- McLaren Automotive has promoted former Land Rover and Cadillac executive Rob Melville to be its top designer. Melville, 39, replaces Frank Stephenson, who has left the company, McLaren said in a statement. Melville joined McLaren in 2009 as senior designer, moving to chief designer under Stephenson in 2014. Melville has worked on the McLaren P1 hypercar, the 650S supercar and that car's high performance version, the 675LT. Prior to joining McLaren, Melville was senior designer at General Motors for the automaker’s advanced design studio in the UK. He worked on the future design direction for Cadillac and was closely involved with the Cadillac Converj concept revealed in 2009. He started his design career in 2003 working for Land Rover after the British firm sponsored his master's degree in automotive design at London's Royal College of Art. At Land Rover, he had a hand in in the LRX concept that became the Range Rover Evoque. Melville said he was "thrilled" to be promoted to McLaren Automotive's design director. "I have always believed that great design tells a great story and that is what we do here at McLaren," he said in the statement. Media reports suggested that Stephenson had left for BMW to head design at the company's Mini brand, however BMW has since confirmed that Oliver Heilmer has been promoted internally to take that post.